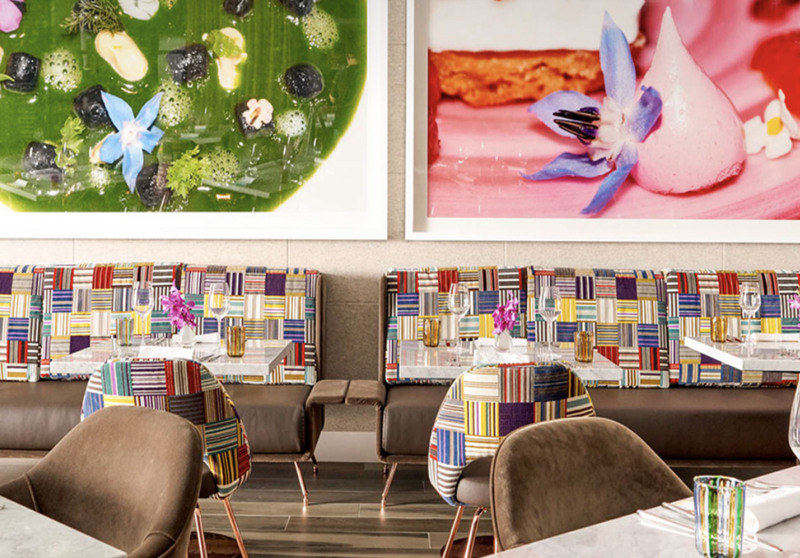 Dallas is bursting at the seams with unique dining options. Our own resident foodie, Claire Chatham, visited a few favorites to find that delicious grub is only half of the equation that equals success in this town for restaurateurs; it's even more about the imaginative, thoughtfully-designed environments that play ultimate hosts to the gastro-entertainment we can't get enough of. When you live and work in the suburbs like Colleyville, Texas, you truly learn to savor and cherish trips to the big city. 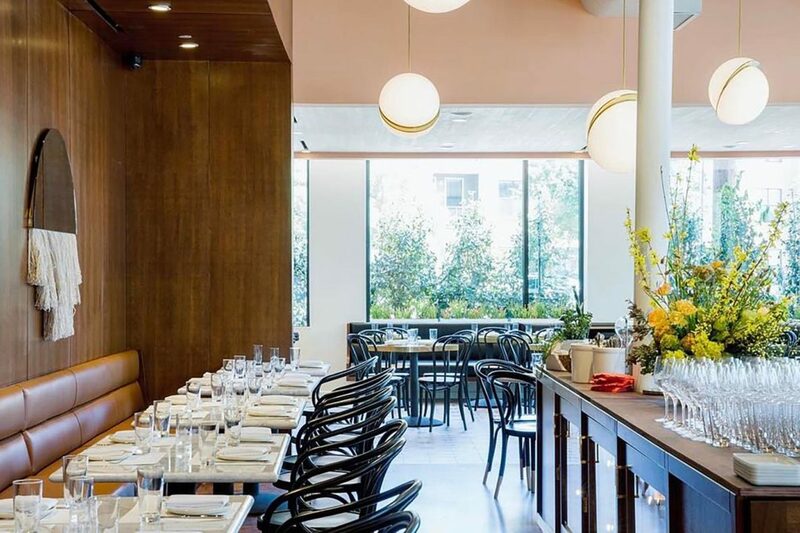 Dallas is only getting bigger, and all of the sudden, there are so many restaurants that you could eat at a new one every day and still not cover them all. 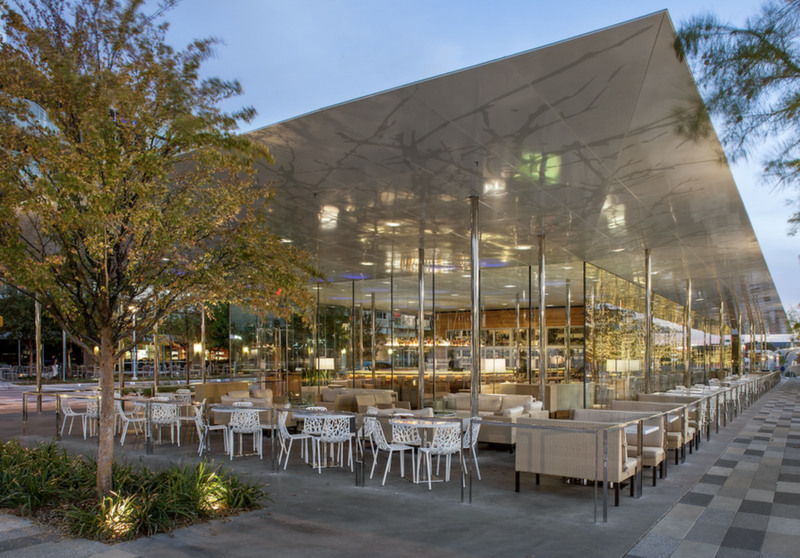 Do I want to sit in the sculpture garden of the Nasher, or at the café of the DMA? To shop at Neiman Marcus, or FortyFive10? (Why not both!) Do I want pizza from Sassetta or tacos from Wheelhouse? Since I consider myself a foodie and am so passionate about food, I’m going to walk you through a meal trifecta, if you will. To get a true taste of the Dallas culture, keep eating reading for some of my favorite and most inspiring Dallas faves! 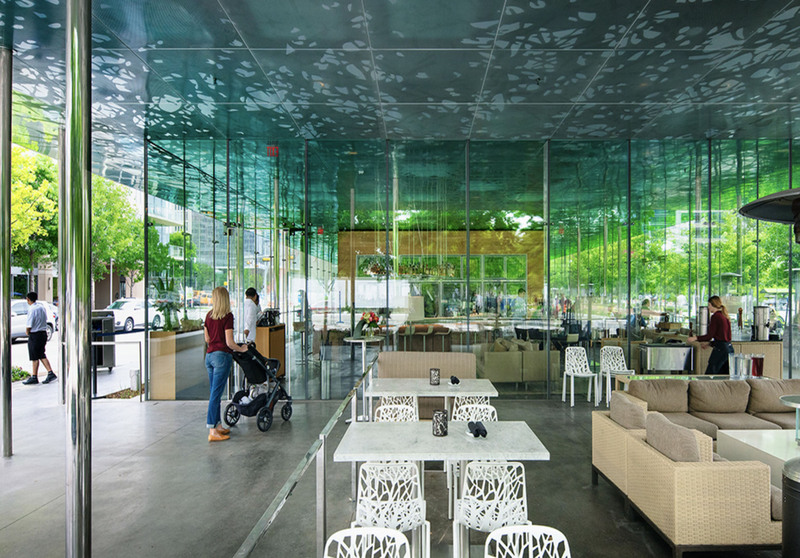 Okay first of all, Savor is like a glass dream box on top of Klyde Warren park. 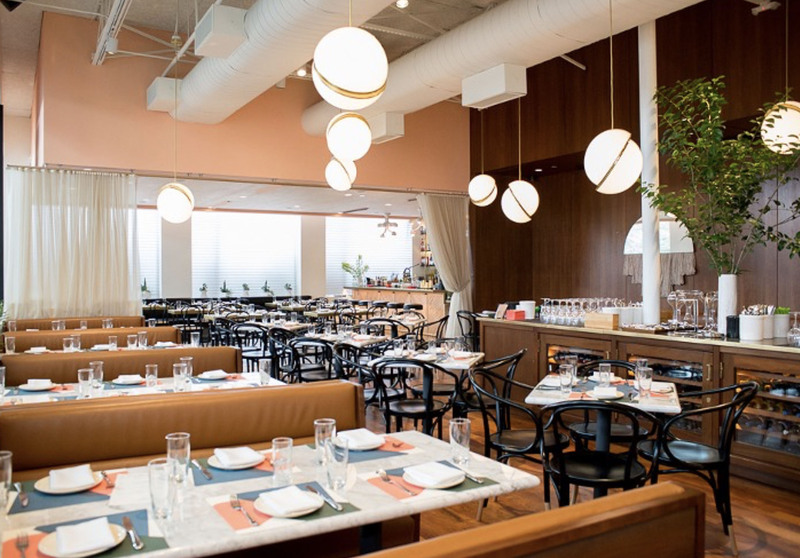 With total transparency, warm wood tones, and custom ceiling panels, Savor is a sweet spot in the middle of the hustle. It’s location gives you the feel of total immersion into the Dallas skyline. Their menu is entirely seasonal, so I’ve had to say farewell to some of my all time favorites. Wah wah wah. However, they keep rolling out some of the tastiest libations in the entirety of Dallas. For starters, their Honey Lavender Mule is a fresh summer favorite. But if you're not into something that floral and fresh, they have an incredible old fashioned called The Nutty Professor. This drink makes me want to sit on a leather sofa in a fancy library somewhere. It’s just that good. While this drink is off the menu, they can still make it even out of season. Savor Gastropub is the perfect atmosphere to start off your dining experience. People who know me know I am WILD about Sassetta, and for good reason. Upon walking through a large salmon-colored door, you are welcomed into what feels like a familiar old diner, but somehow totally new and exciting. 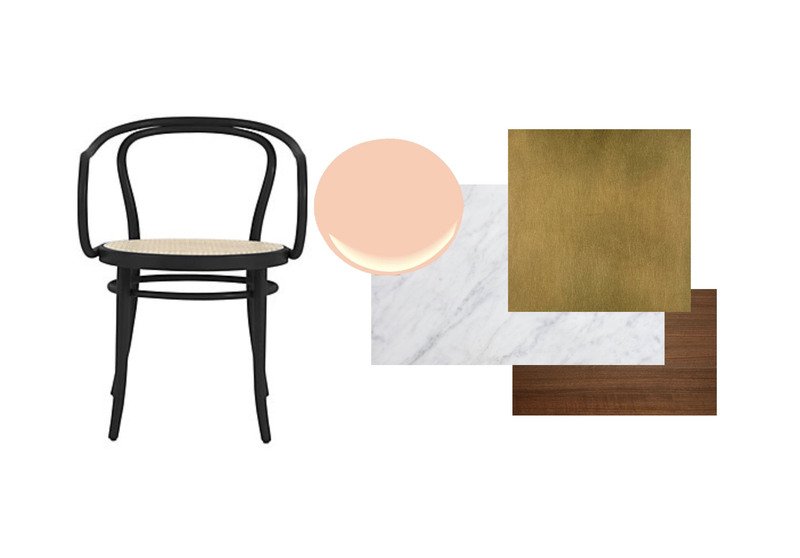 The sphere pendants with brass accents, the rich wood panels with monochromatic banquettes, and the pops of dreamy pastels all prepare you for a true treat: artisanal pizza! But for starters, one of my favorite things on their menu is their Dry Aged Beef Meatballs. They are as simple and delectable as they sound. Coupled with whipped ricotta and fresh sourdough, you cannot beat this app! The freshness of their ingredients rings true in this dish. 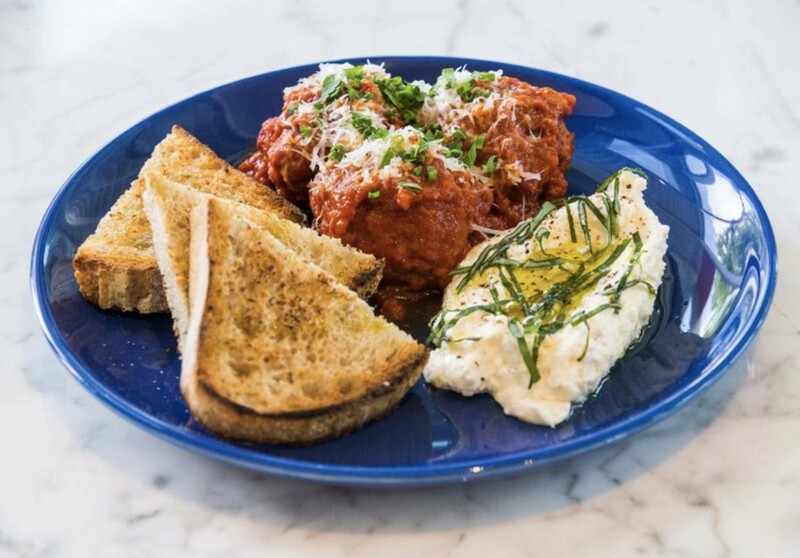 But let’s talk about why you're really going to Sassetta… Honey. Burnt. Pizza. This pizza is a true stunner. I am a fan of the sweet and savory combination, and this pizza totally checks that box. But if that’s not your forte, their Pappardelle with Ragu Bolognese is also a treat. Did I just step into someone’s Italian grandma’s kitchen? This dish is a nod to traditional Italian cuisine with a modern gastropub flare. Also, it would be a shame if I did not mention their top notch bar. Finish your meal off with a glass of Lambrusco wine, and you will not regret it! Okay. I have a problem with sweets… especially working in an interior design office where we’re pretty much a step down from Willy Wonka’s Chocolate factory in the kitchen. We always have treats on hand– but my favorite dish is completely polar from my usual go-tos. To top off the night, head on up to Fortyfive10's rooftop dining space, Mirador, for a taste of fine dining. 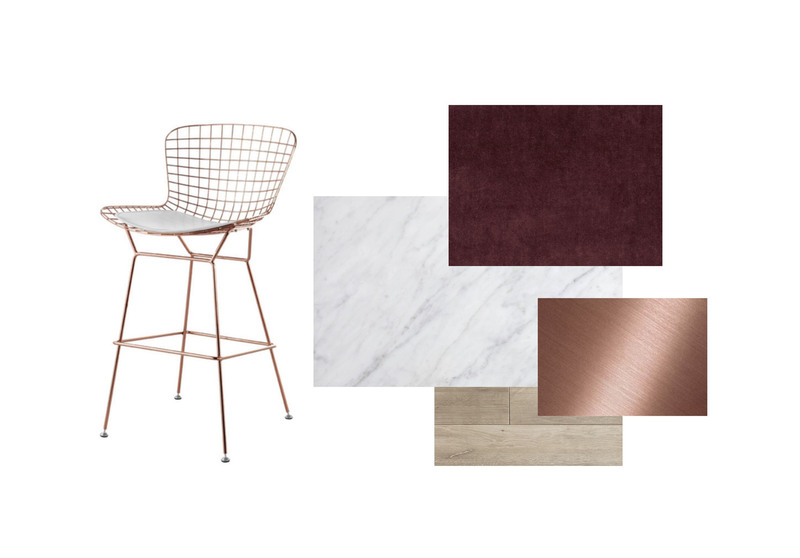 Their modern interiors are dripping with rose gold, marble, mohair, and all things Knoll. 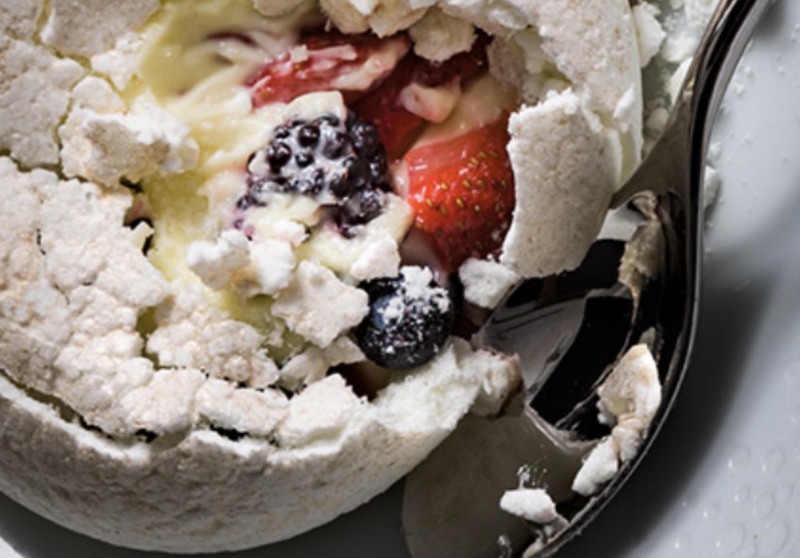 Their Lemon Pavlova is like all your childhood memories wrapped up into a light, crispy, and sweet package. The most fun part is cracking the merengue open with your spoon. It kind of feels like something you shouldn’t do, but that’s what makes it fun, right? And don’t let lemon scare you- this dish is balanced and complex, and 100% “I’d lick this plate clean if I weren’t in a nice restaurant” status. It is the perfect way to end your night of exploring Dallas and all it’s foodie glory. 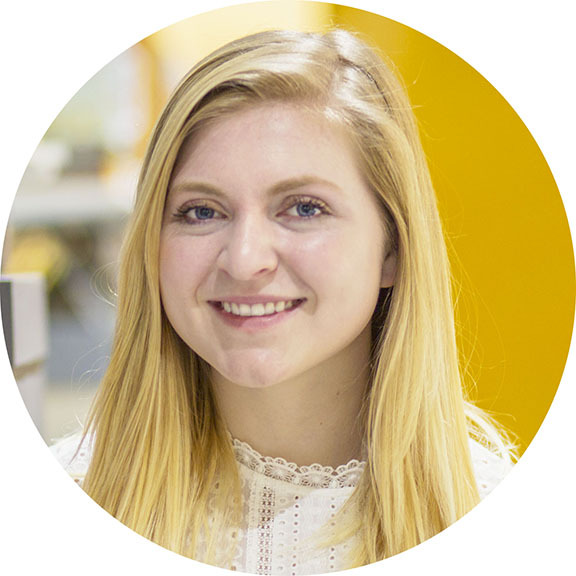 Claire Chatham is a TCU student and design + creative intern at Thiel & Thiel. 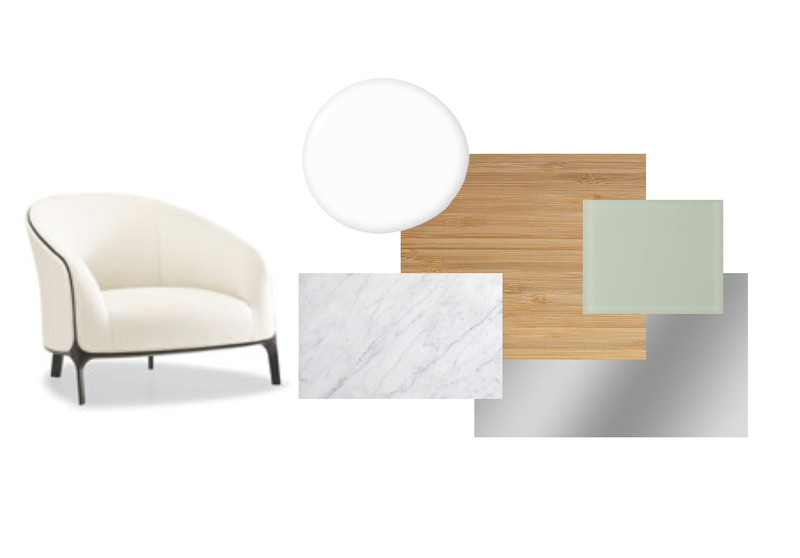 She gathers inspiration from experiences central to fine dining, entertainment, events, and large-scale civic projects. Claire loves cities and is fascinated with studying how people use them.